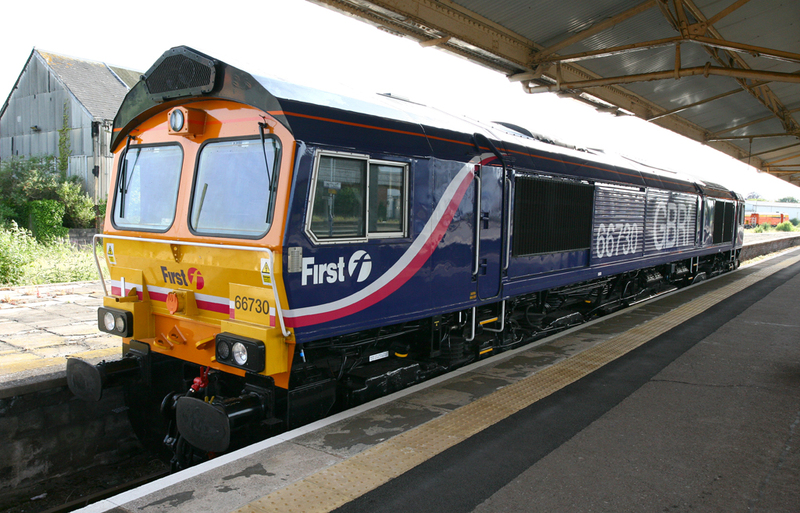 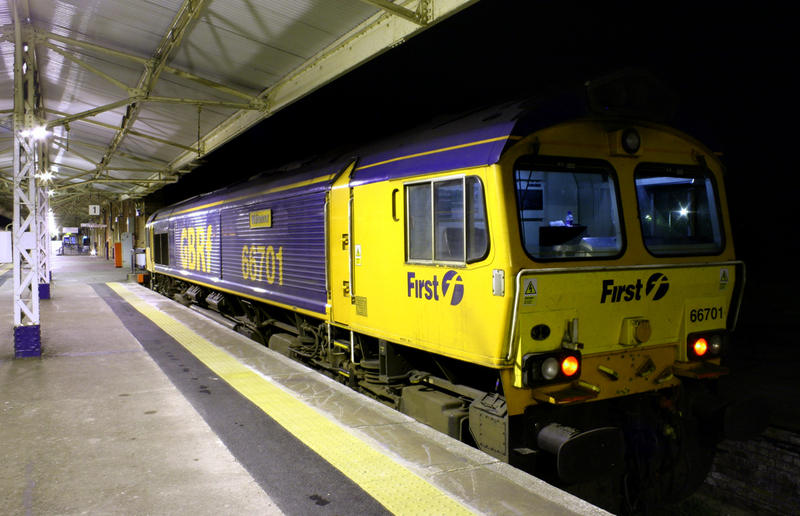 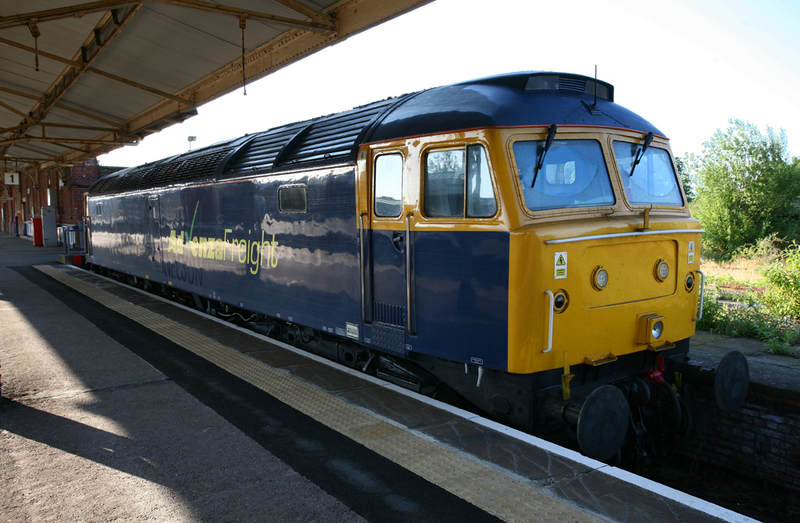 28th March 2009 FGW Class 142 No.142001 broke new ground for its class while working a St Phillips Marsh – Exeter stock move, the unit didn’t quite make Exeter on the 27th so was stabled in Platform 1 overnight, the next morning it continued south to Exeter. 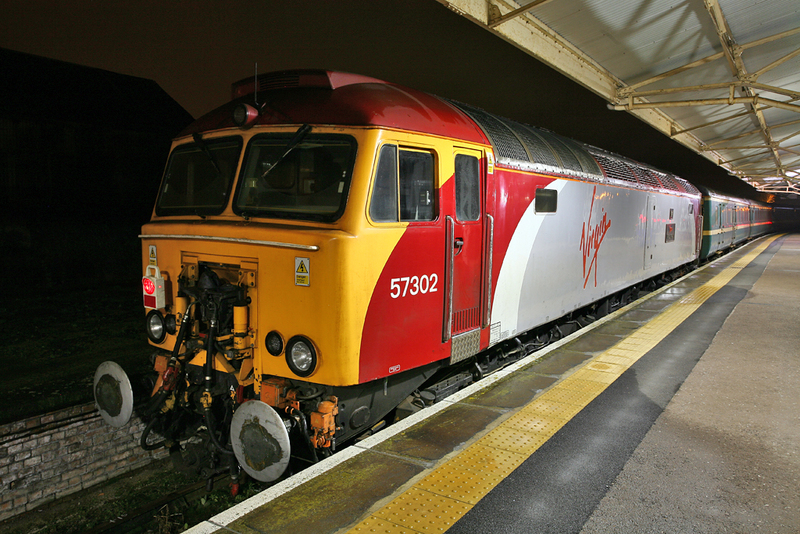 24th May 2010 Virgin Class 57 No.57306 is seen in Platform 1 stabled against the buffer stops, the loco hauled set is missing the locomotive from the opposite end. 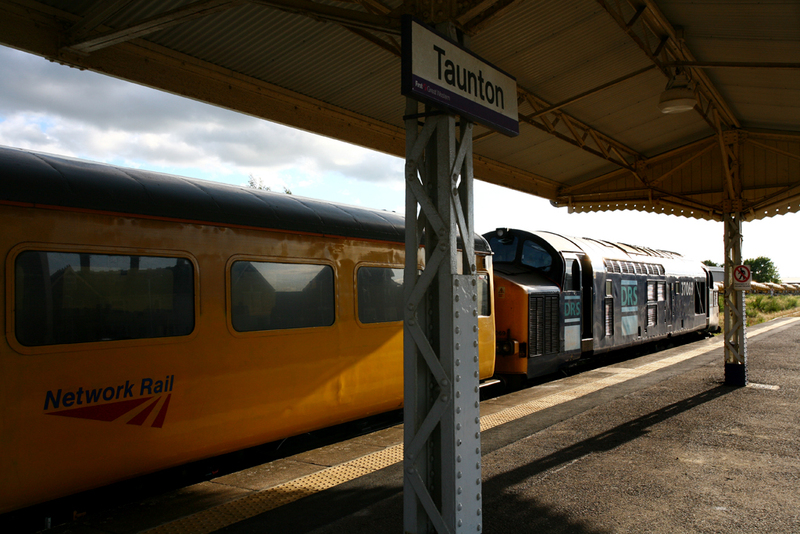 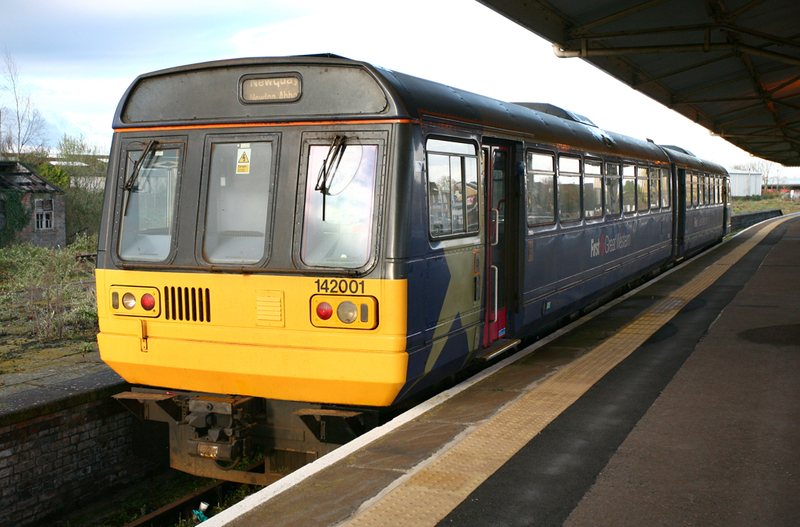 The 07:28 from Taunton did not depart until 07:55 and then ran fast from Weston Super Mare to Bristol Temple Meads. 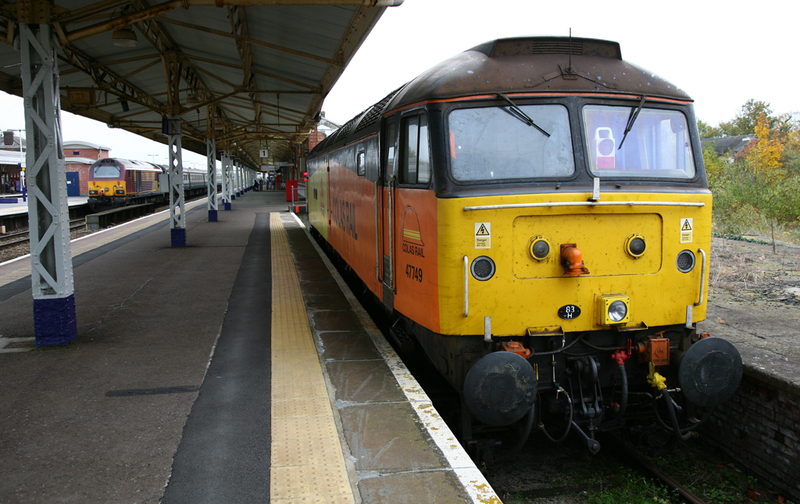 27th October 2010 Colas Rail Class 47 No.47749 visited Taunton with one of their colourful Class 47's. 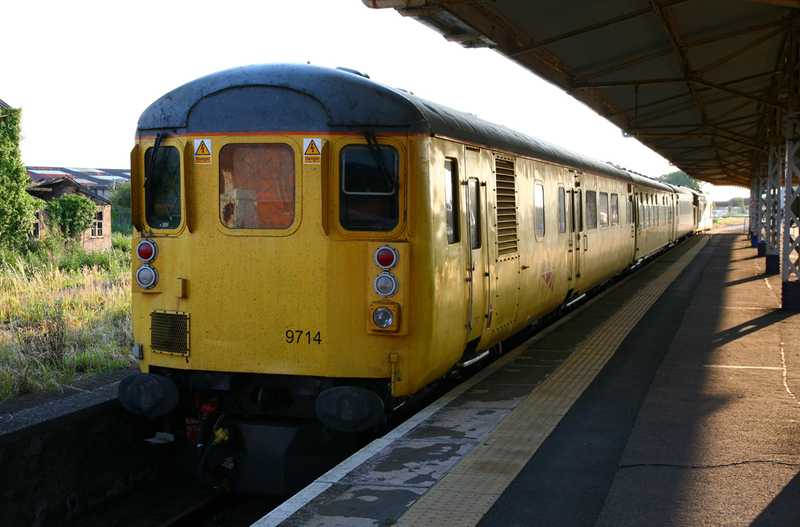 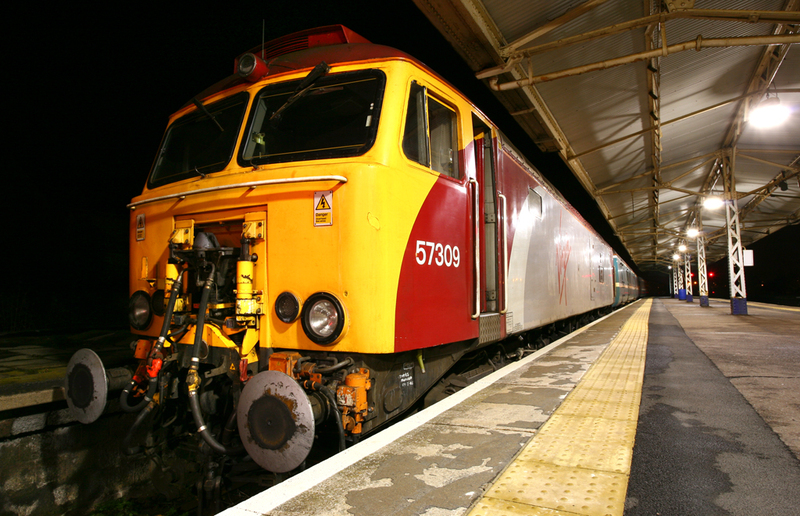 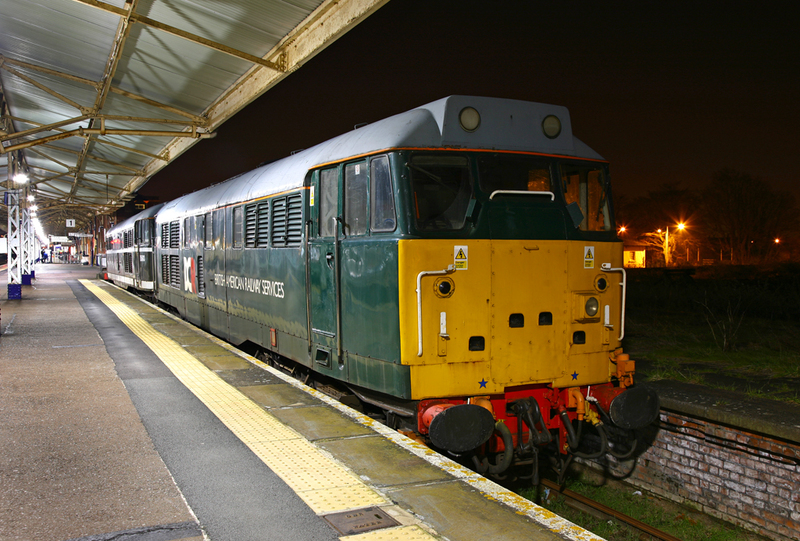 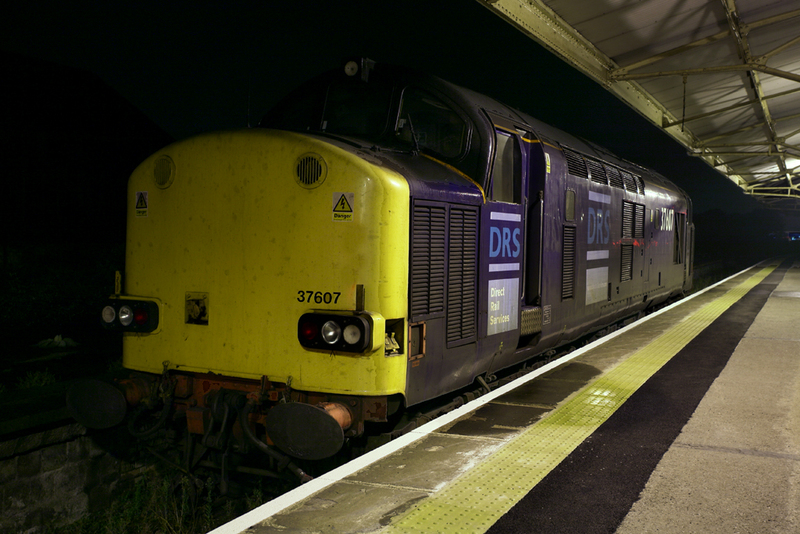 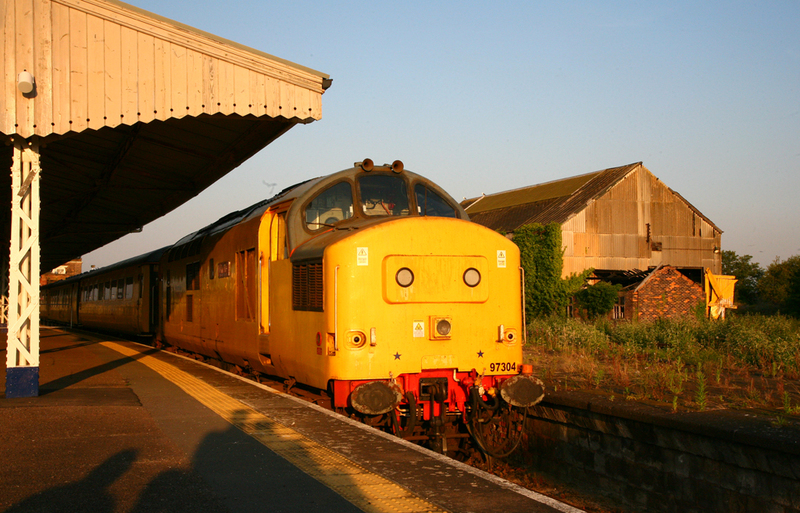 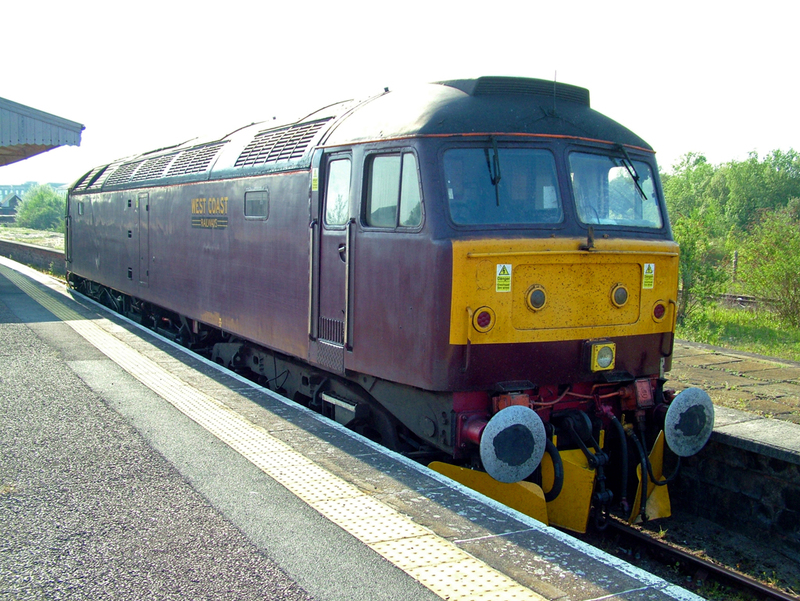 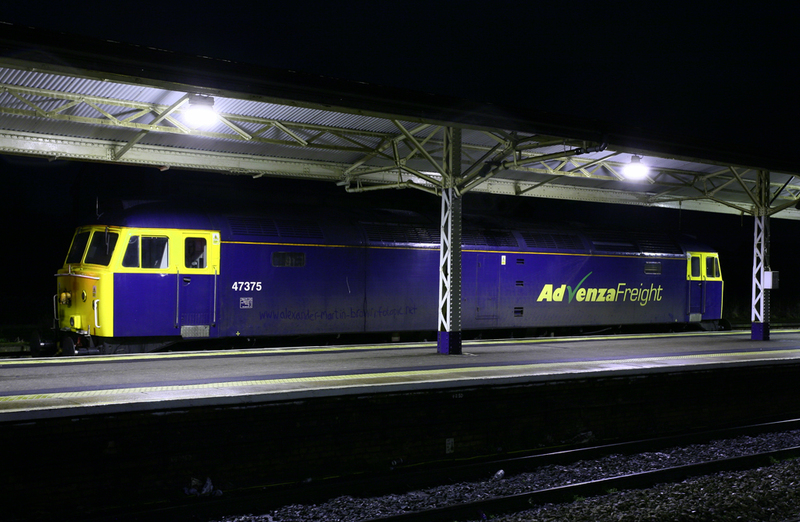 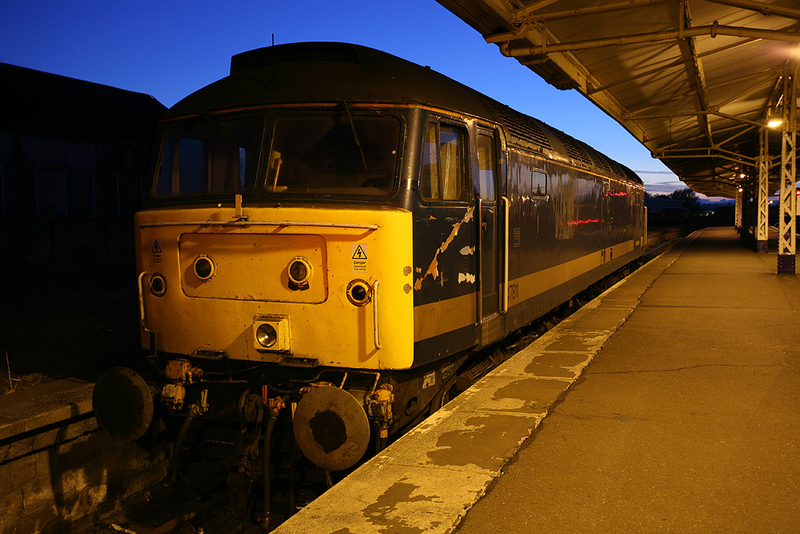 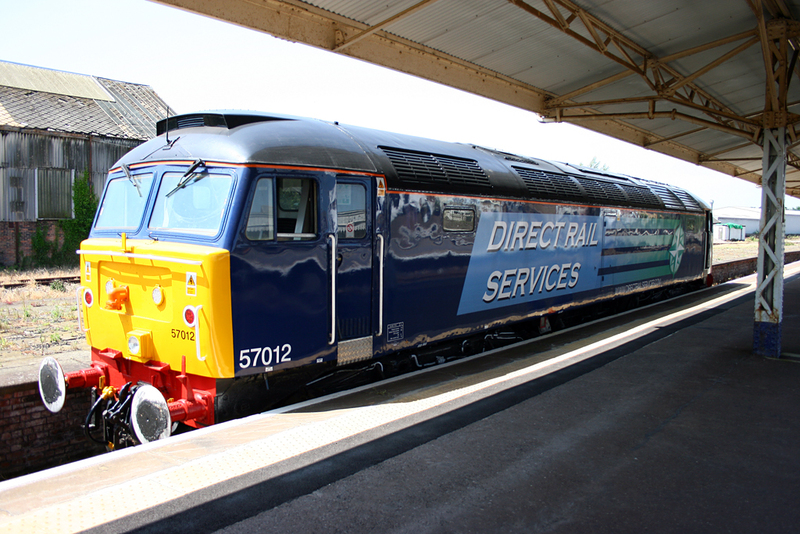 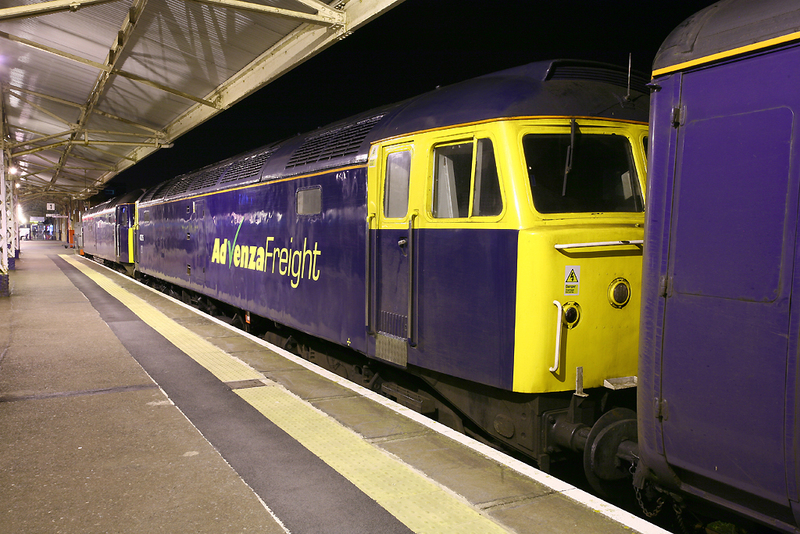 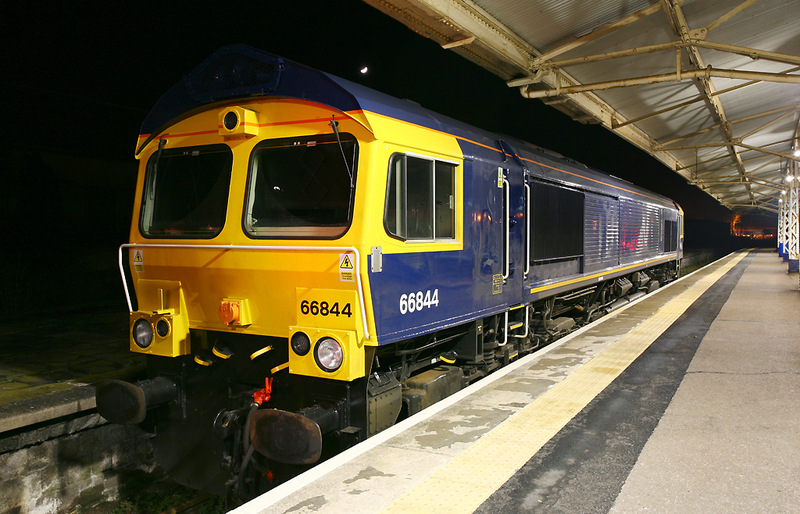 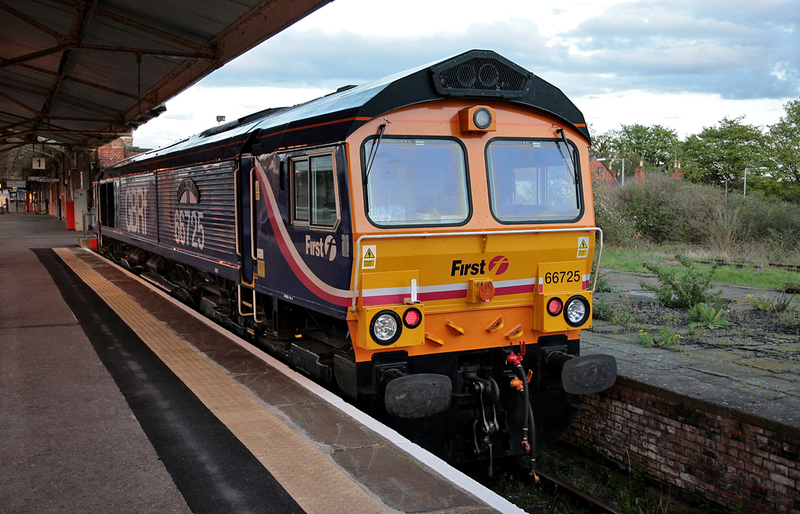 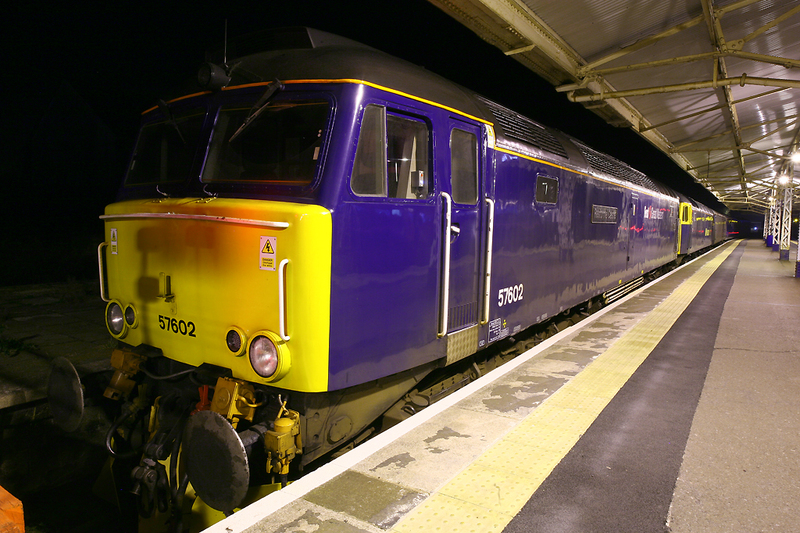 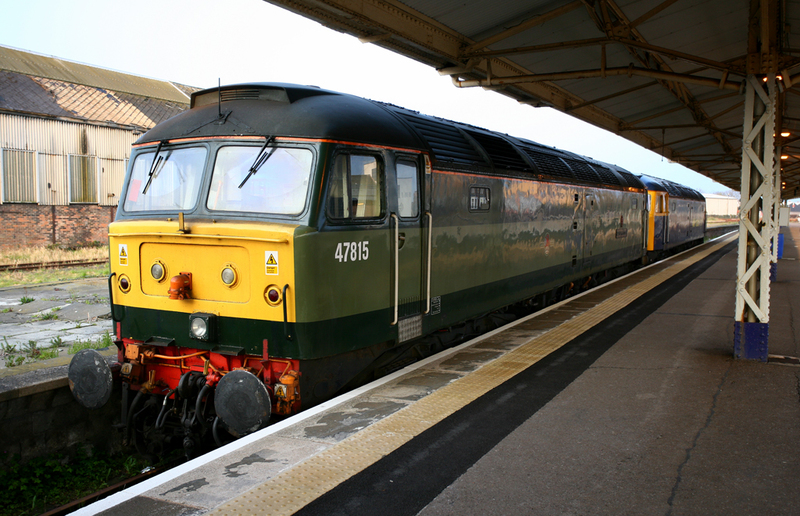 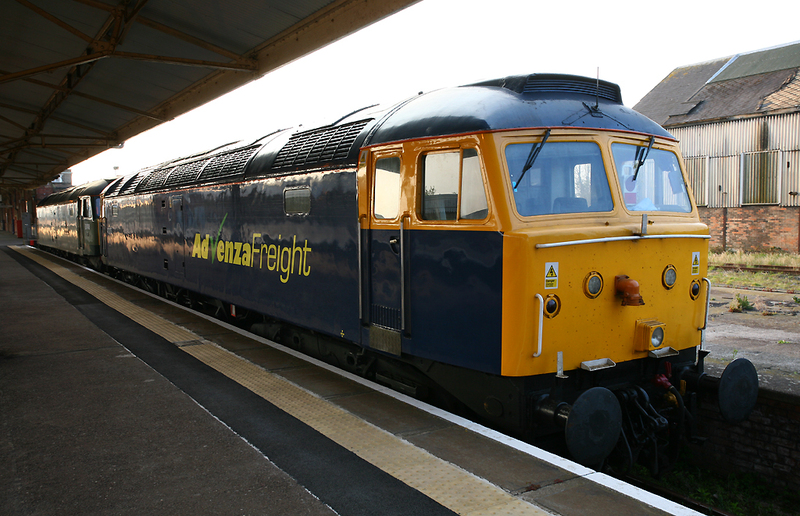 47749 'Damelza' spent the night in Taunton's Premier Inn for locomotives (Platform 1). 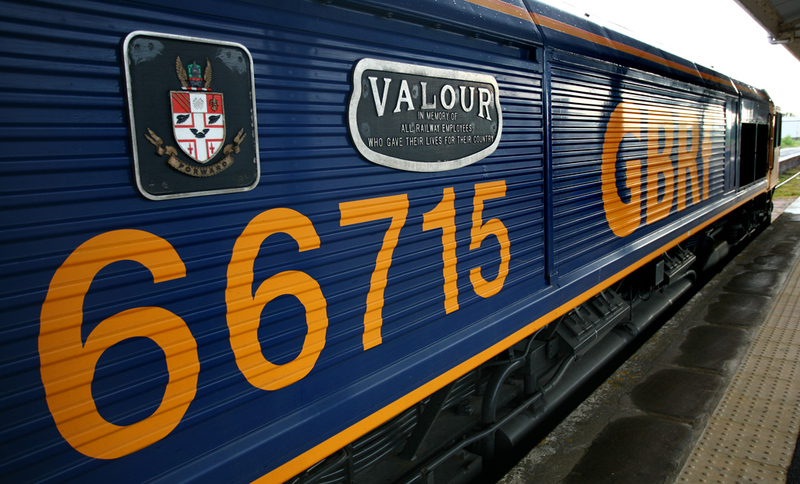 The veteran locomotive had worked light engine from Washwood Heath earlier in the day, and will work forward to Tavistock Jn early on the 28th. 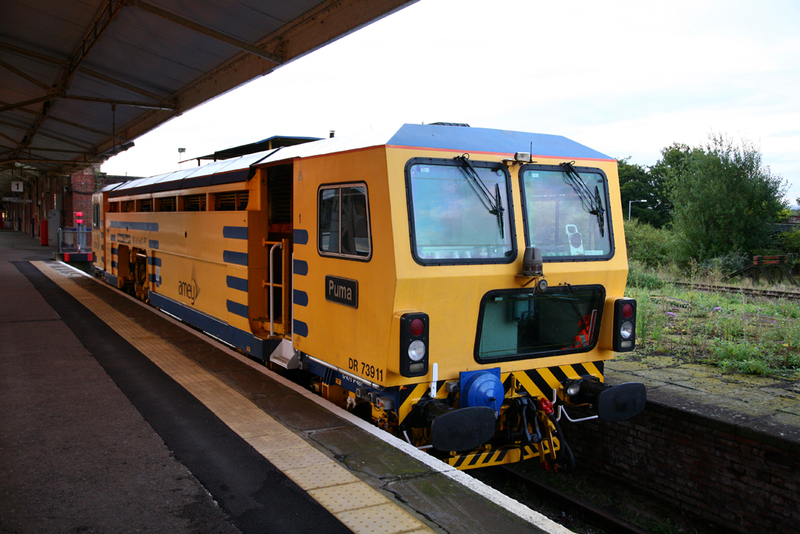 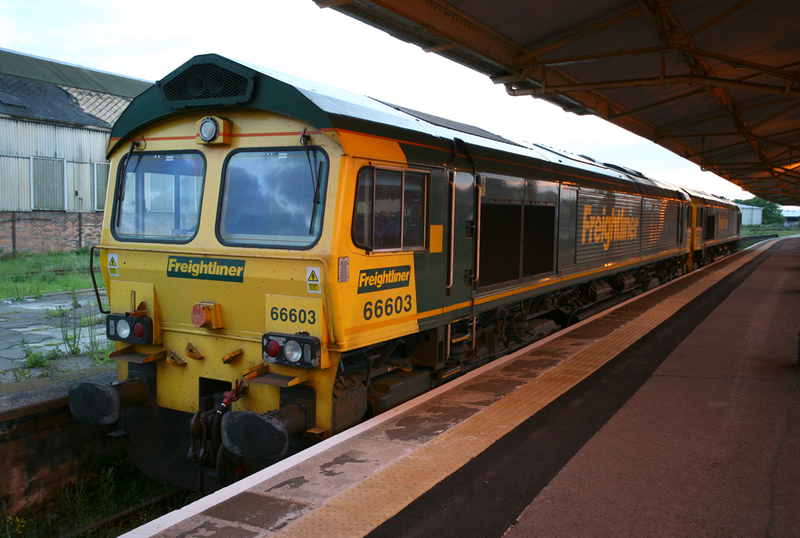 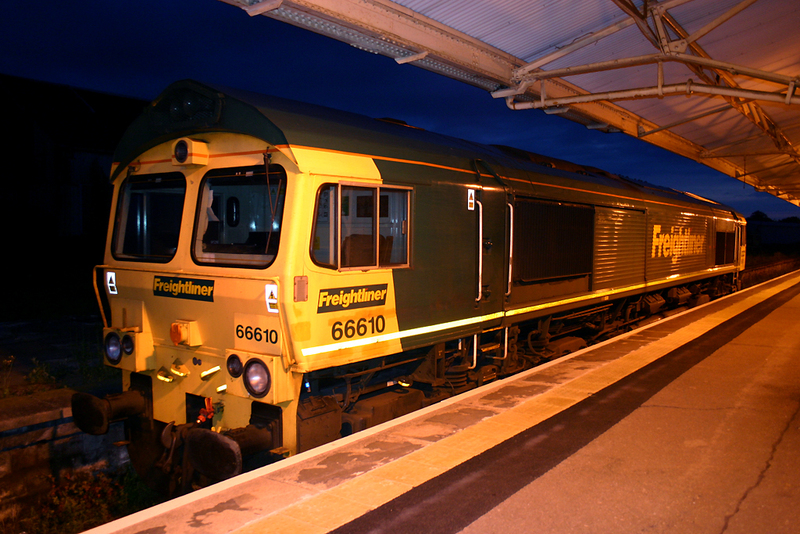 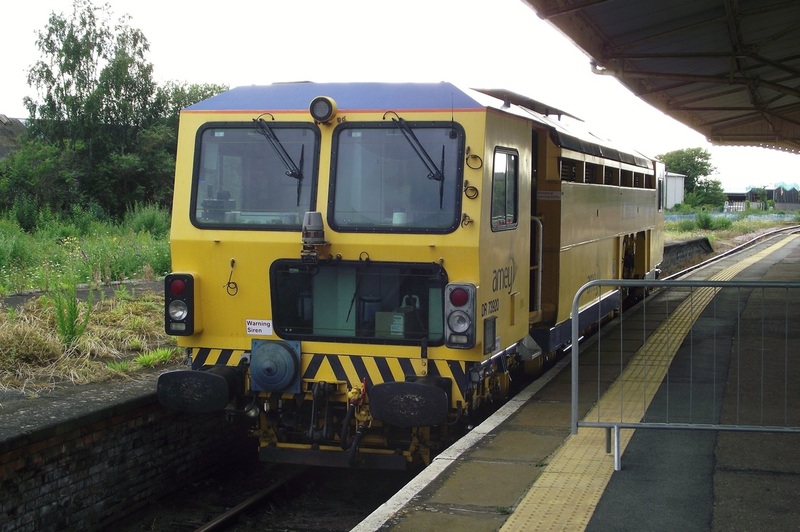 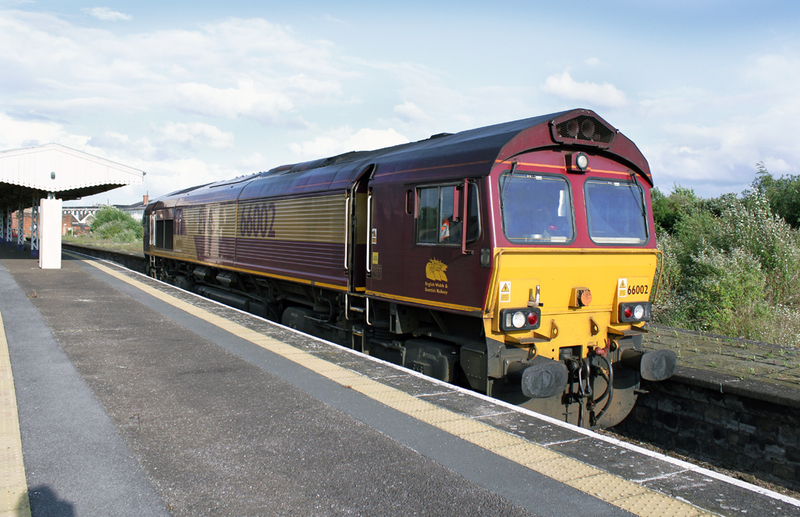 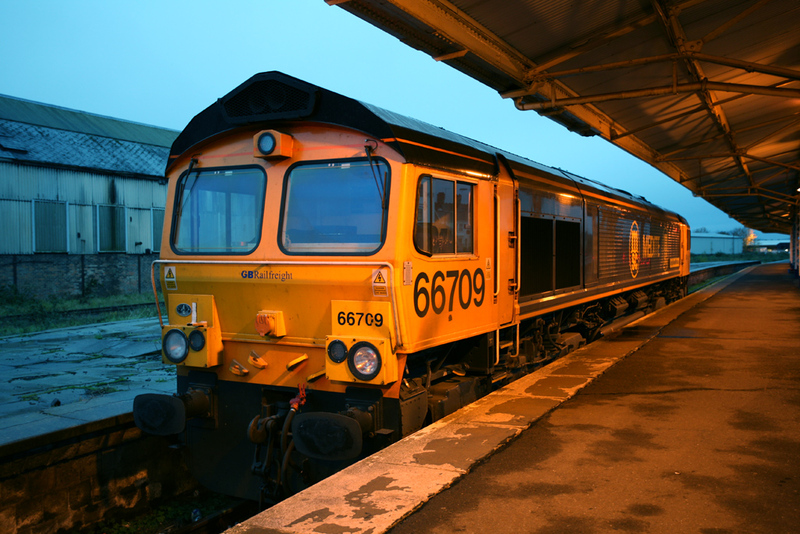 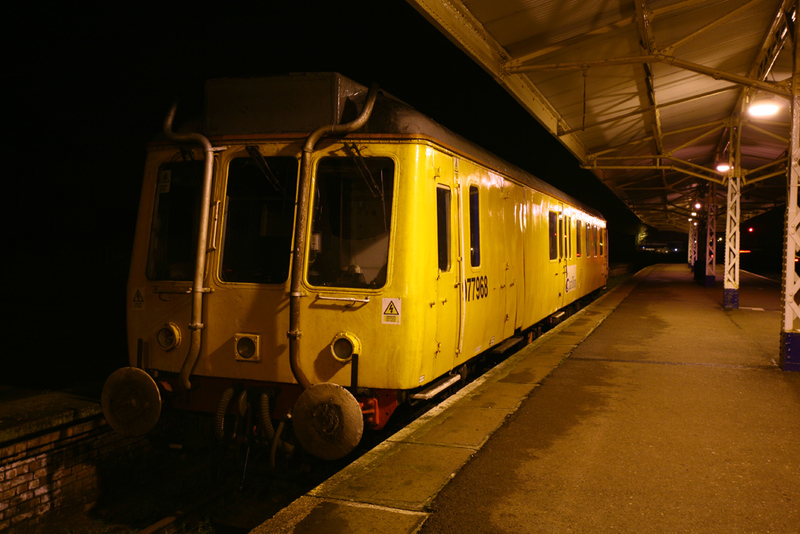 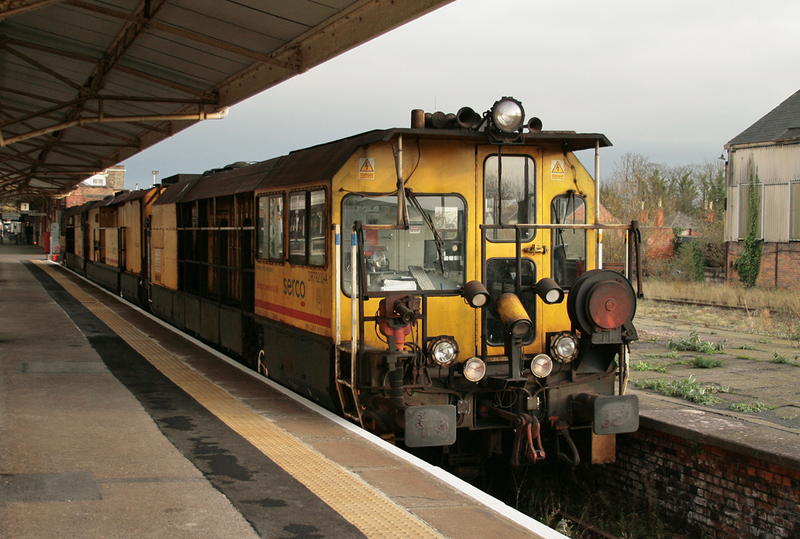 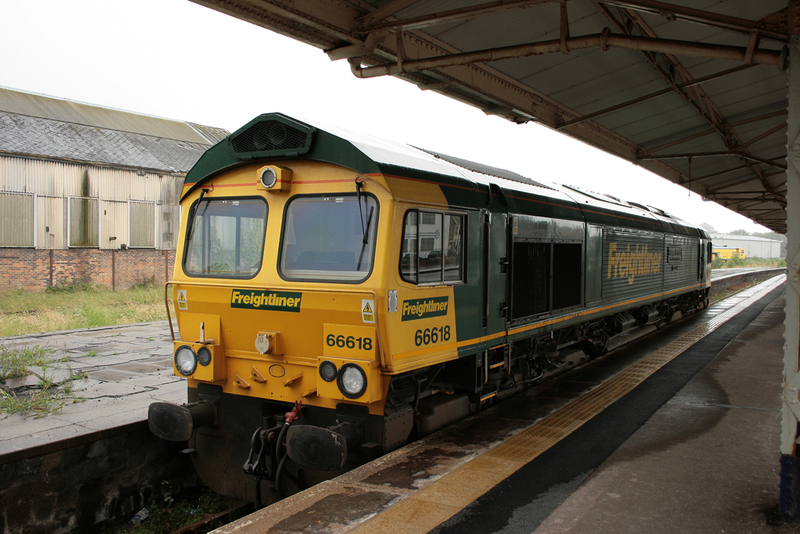 It's thought it will bring up the Colas Rail Mini HOBC set from Tavistock Jn yard to Fairwater. 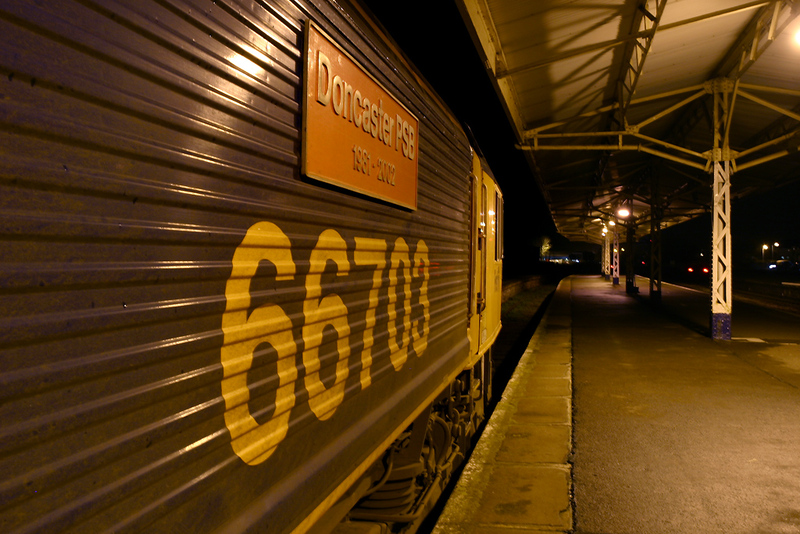 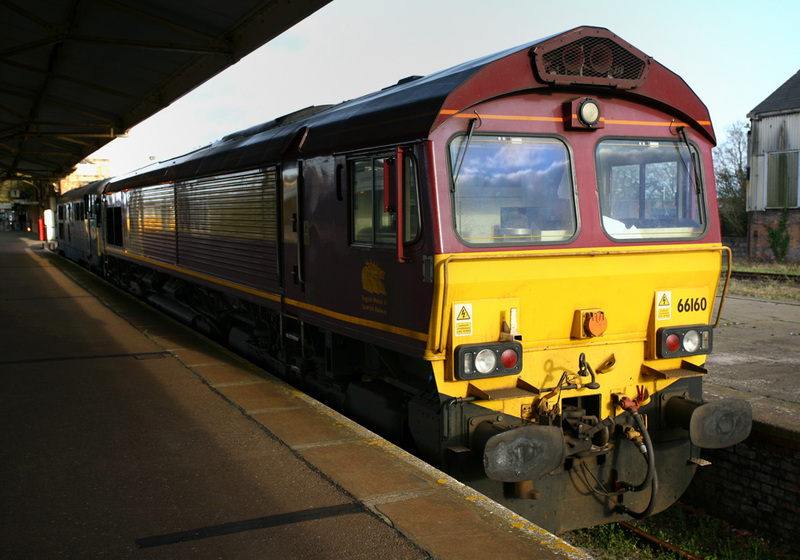 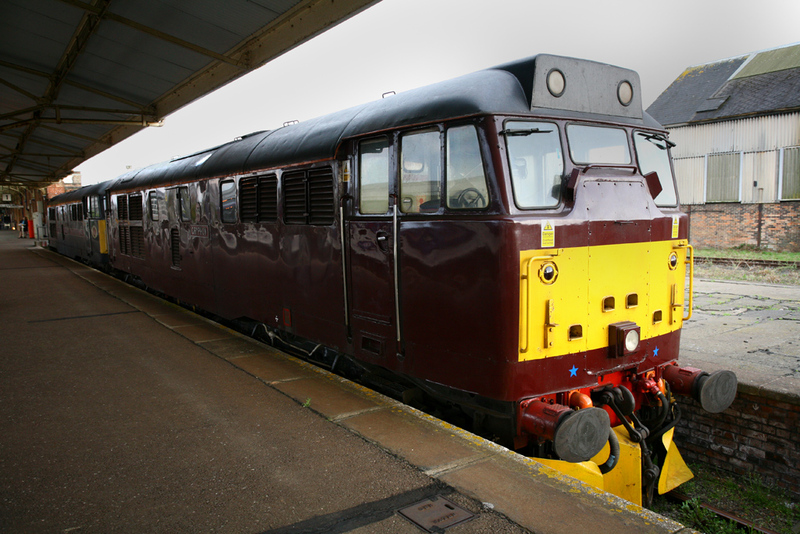 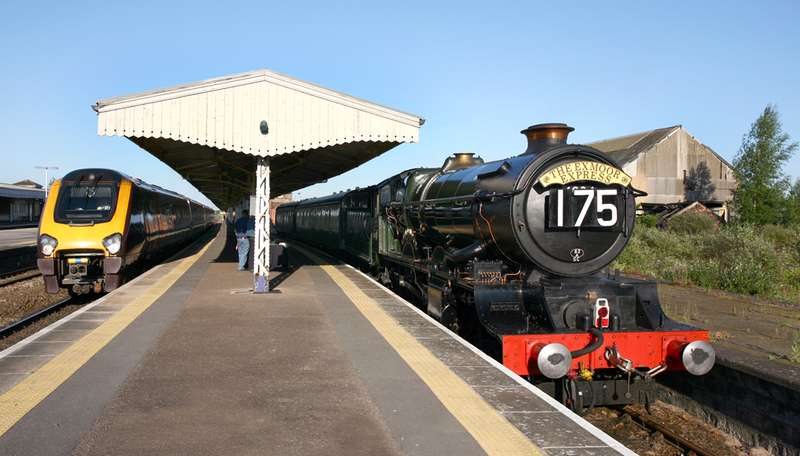 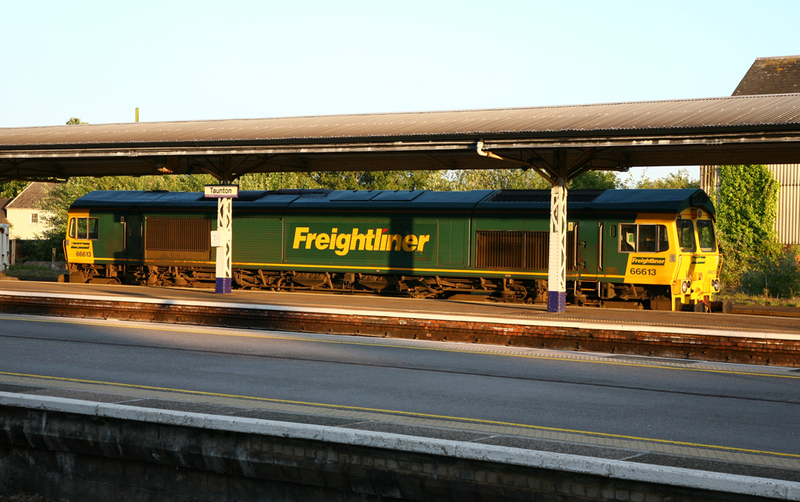 The Cornished named Damelza is seen stabled at Taunton on the 27th. 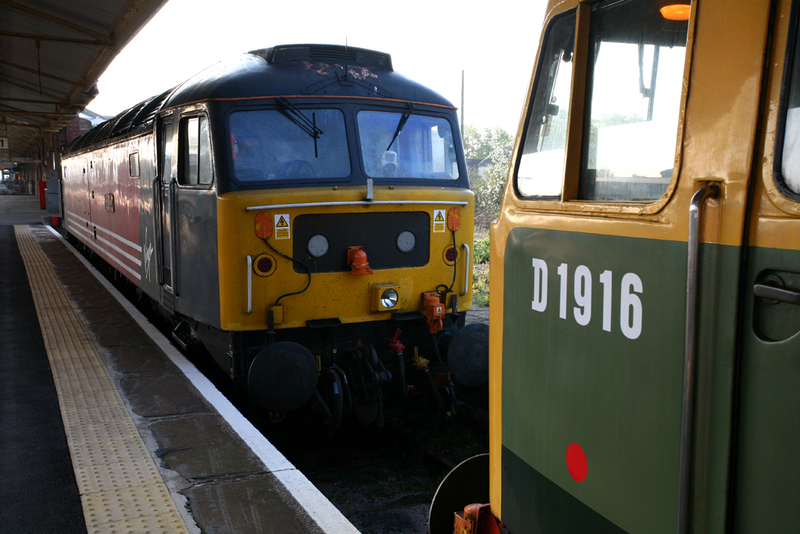 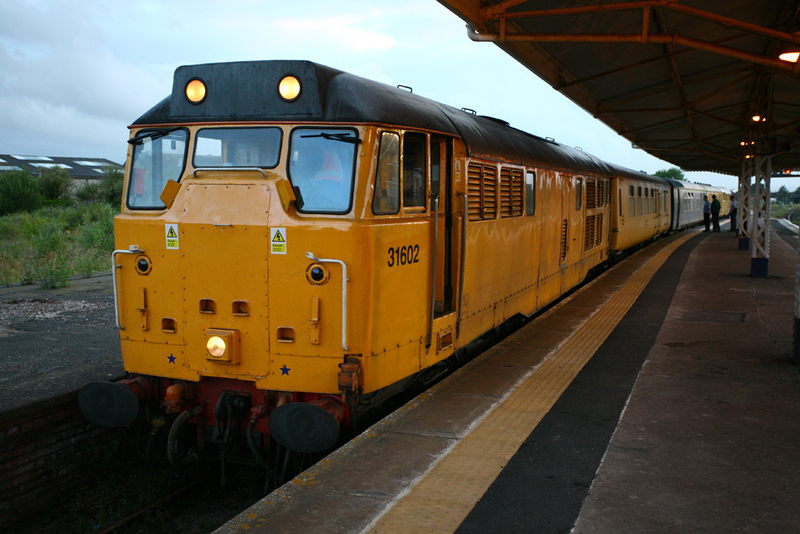 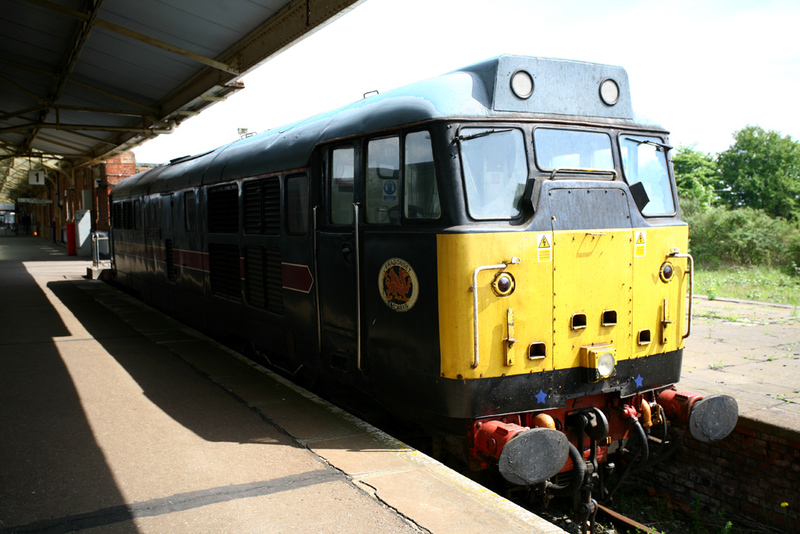 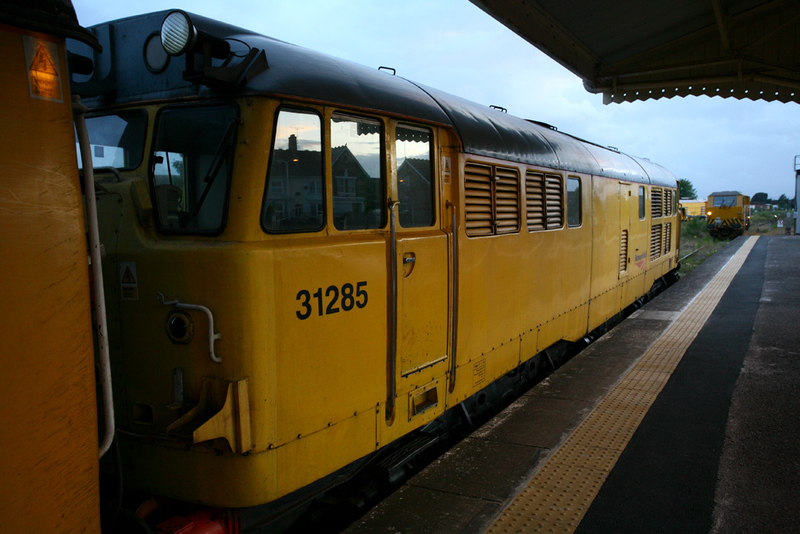 7th September 2011 West Coast Railways Class 33 No.33207 sent a very rare visitor to Taunton to collect 'Tangmere' from the WSR. 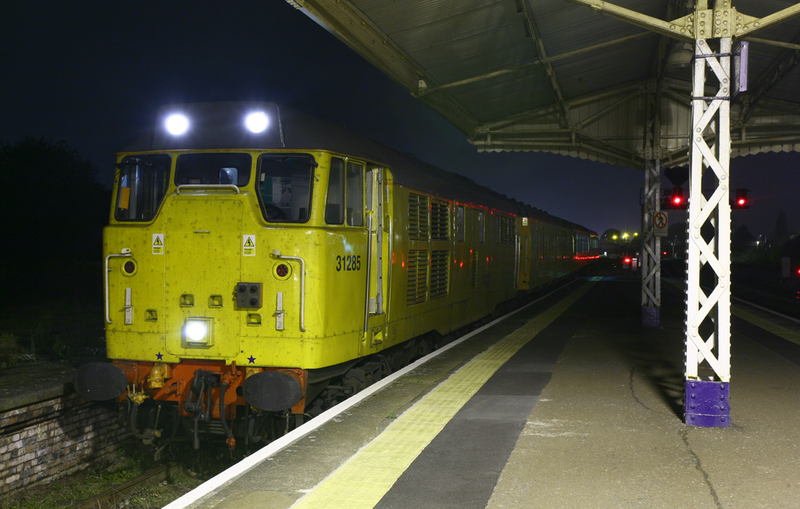 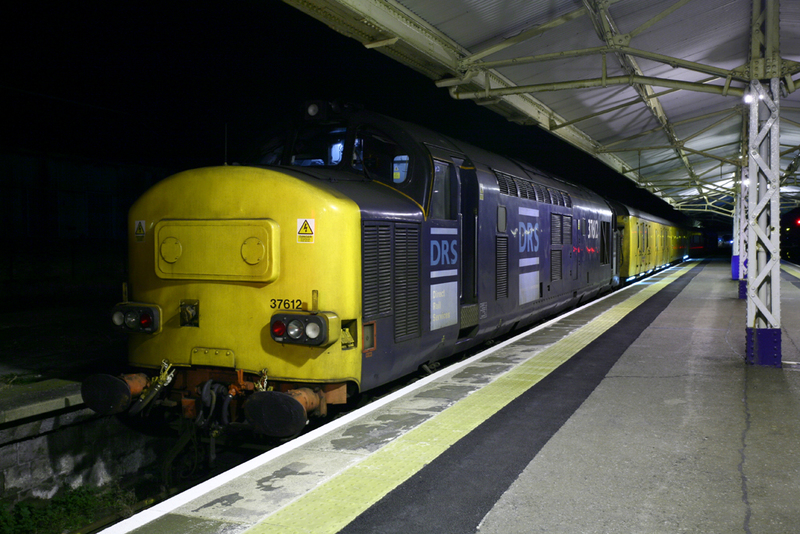 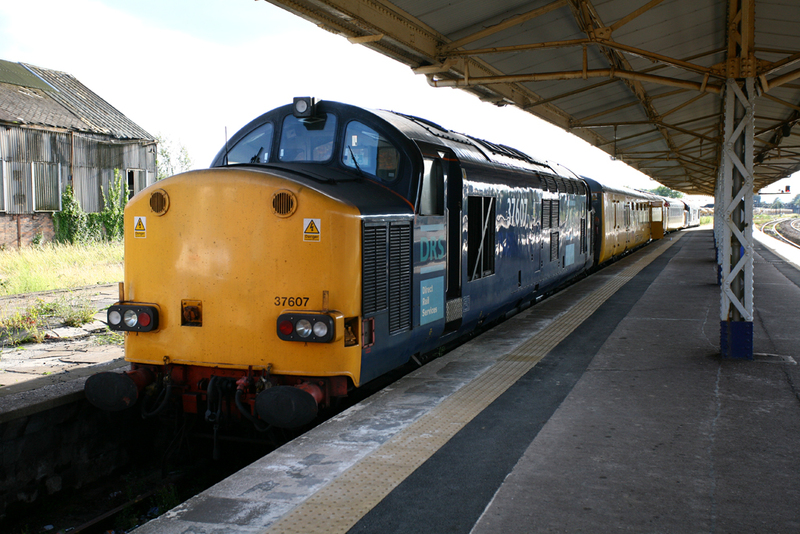 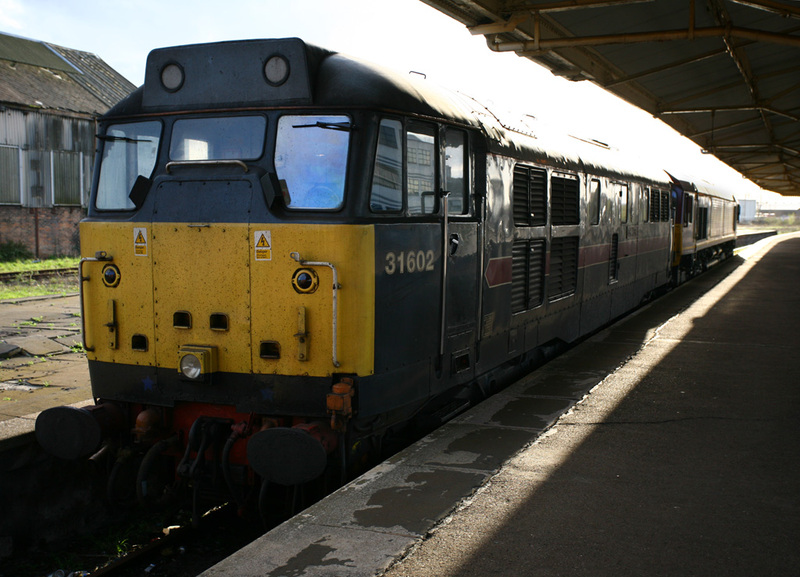 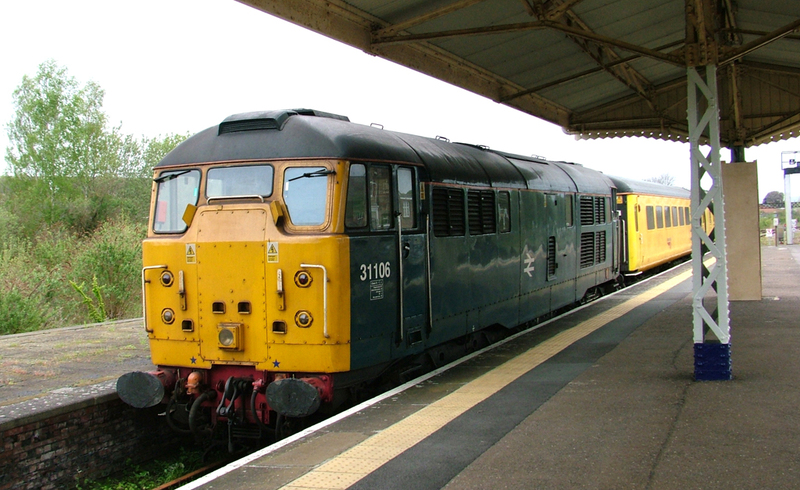 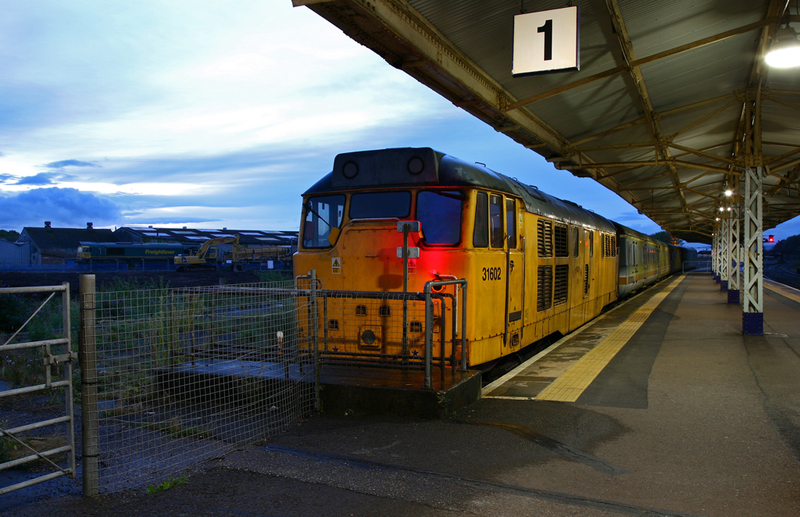 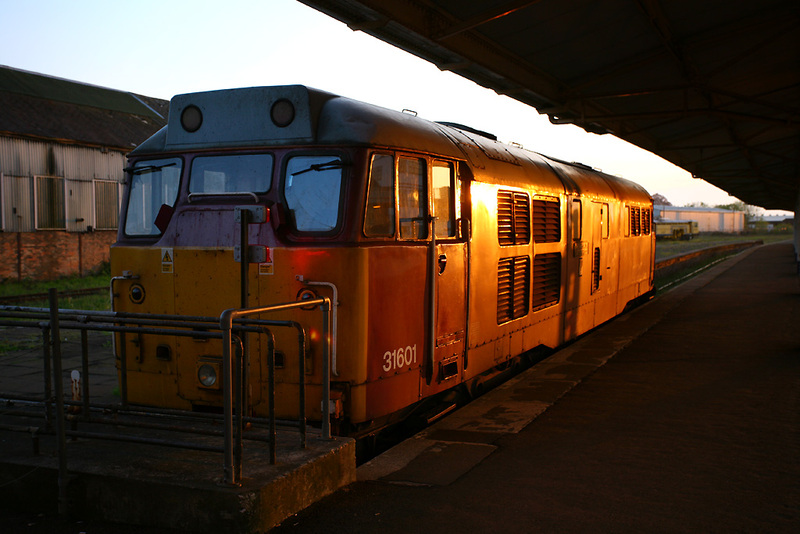 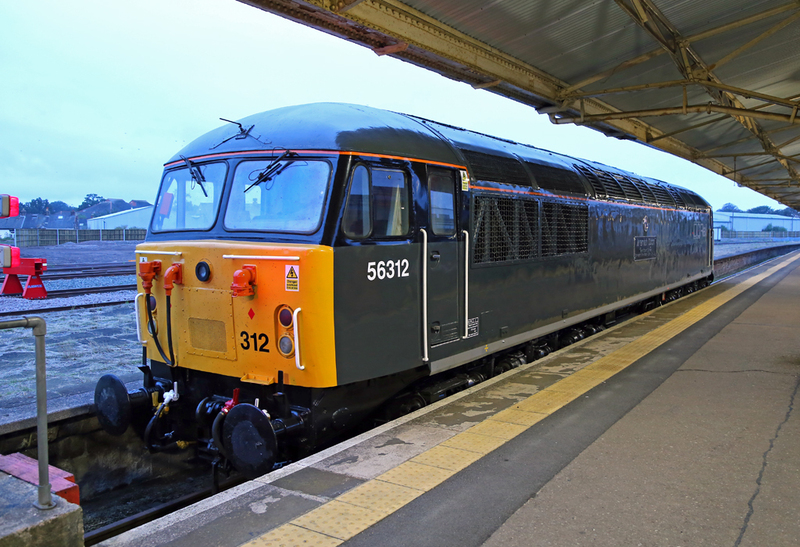 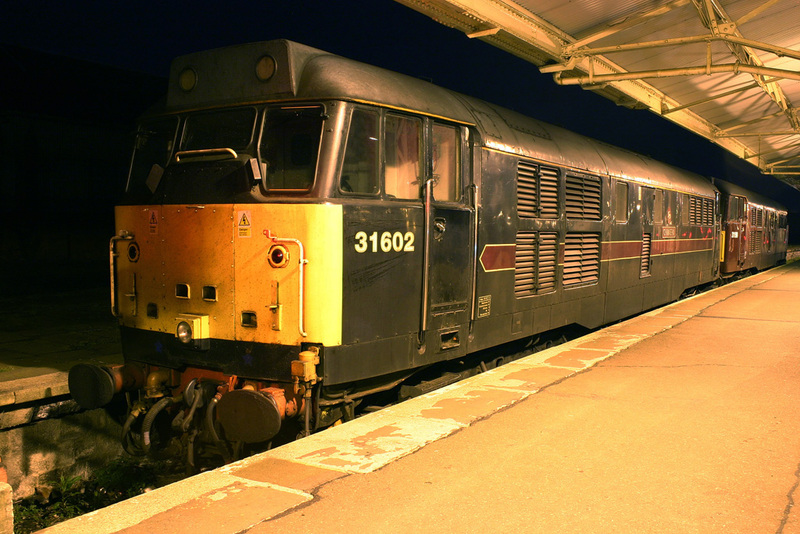 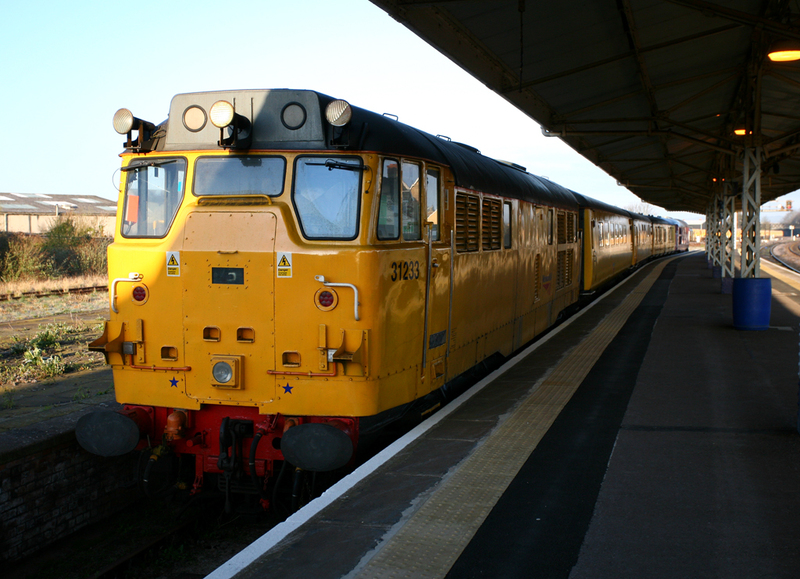 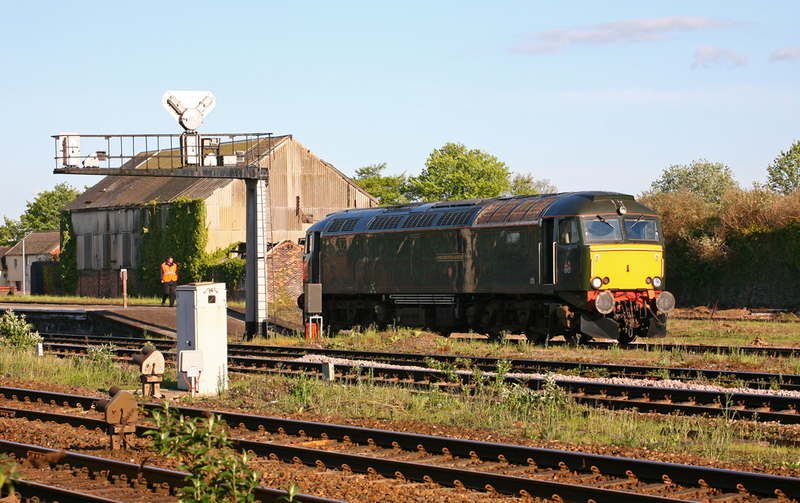 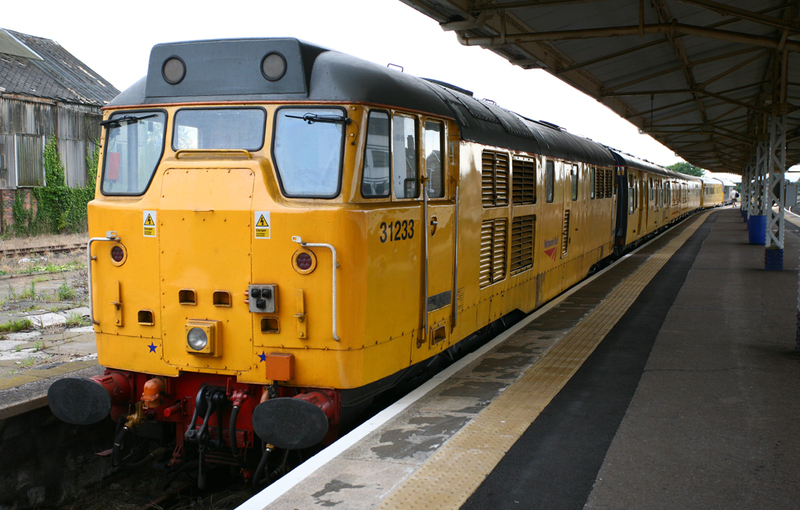 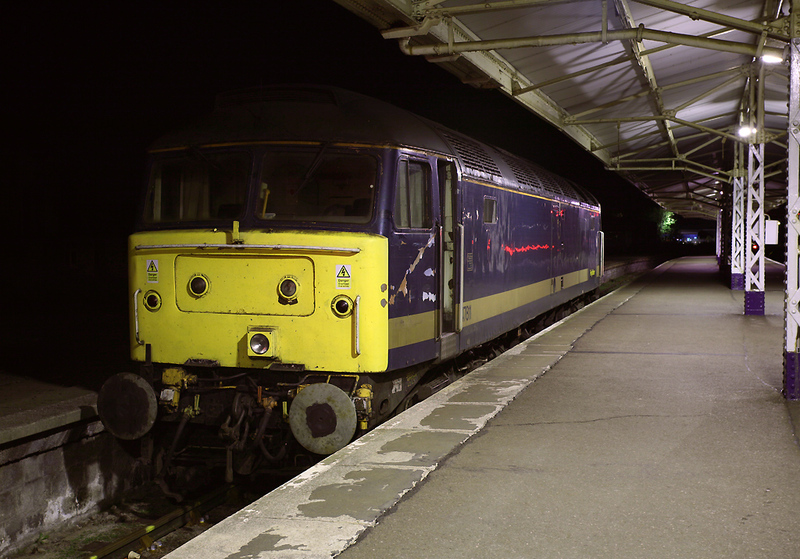 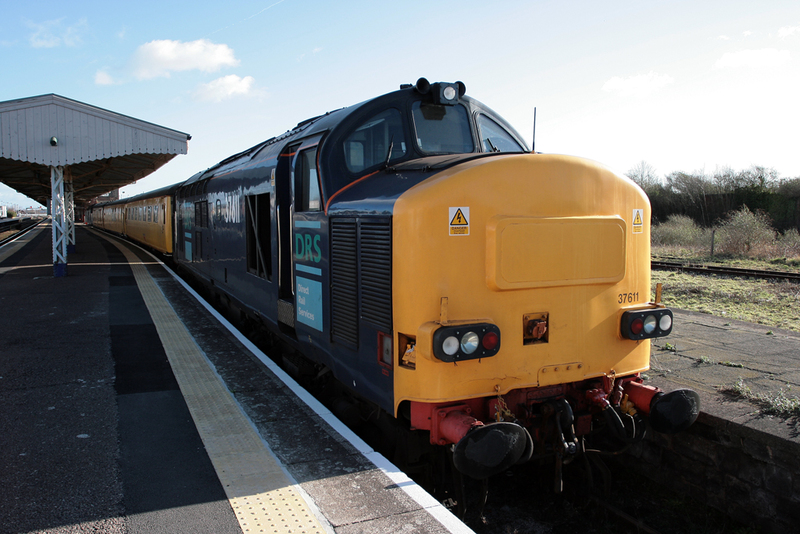 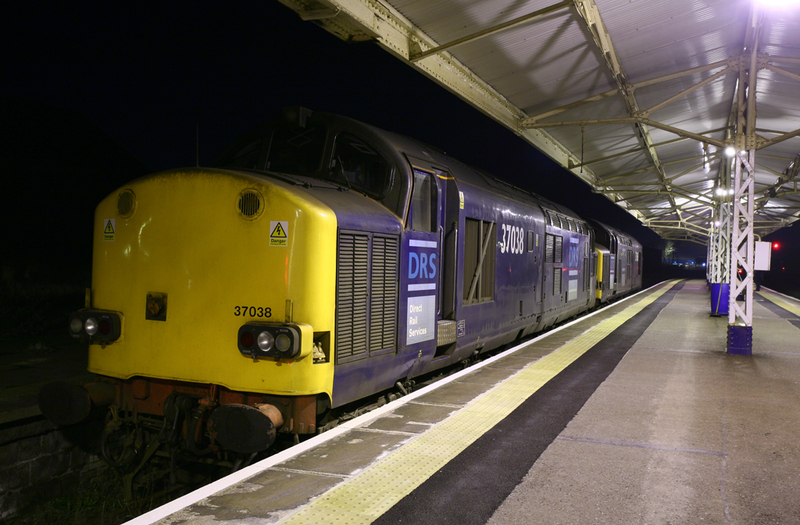 33207 'Jim Martin' worked light engine from Southall to Taunton, where it stabled in Platform 1 overnight, before then working through to Bishops Lydeard on the 8th in order to return Tangmere to Carnforth for repair.